Jedkareh, A., Esmaeili, S., Alembagheri, A., Mortazavi, S. (2016). Comparing the etiology and treatment of skin fissure in traditional and conventional medicine; a brief review. Research Journal of Pharmacognosy, 3(1), 49-54. A. Jedkareh; S. Esmaeili; A. Alembagheri; S.A. Mortazavi. "Comparing the etiology and treatment of skin fissure in traditional and conventional medicine; a brief review". Research Journal of Pharmacognosy, 3, 1, 2016, 49-54. Jedkareh, A., Esmaeili, S., Alembagheri, A., Mortazavi, S. (2016). 'Comparing the etiology and treatment of skin fissure in traditional and conventional medicine; a brief review', Research Journal of Pharmacognosy, 3(1), pp. 49-54. Jedkareh, A., Esmaeili, S., Alembagheri, A., Mortazavi, S. Comparing the etiology and treatment of skin fissure in traditional and conventional medicine; a brief review. Research Journal of Pharmacognosy, 2016; 3(1): 49-54. 1Pharmaceutical Sciences Branch, Islamic Azad University, Tehran, Iran. Traditional Medicine and Materia Medica Research Center, Shahid Beheshti University of Medical Sciences, Tehran, Iran. 2Traditional Medicine and Materia Medica Research Center, Shahid Beheshti University of Medical Sciences, Tehran, Iran. Department of Traditional Pharmacy, School of Traditional Medicine, Shahid Beheshti University of Medical Sciences,Tehran, Iran. 4Department of Pharmaceutics, School of Pharmacy, Shahid Beheshti University of Medical Sciences,Tehran, Iran. Dry skin is a common problem which affects wound healing, severity of other skin diseases and quality of life of people. One of its undesirable effects is fissure that is a cutaneous condition in which there is a linear loss of epidermis and dermis with sharply defined, nearly vertical walls. In the present study, we have investigated the etiology of the disease and its treatments in conventional medicine and Iranian Traditional Medicine (ITM). Two traditional medicine references, current scientific data bases and medicinal texts were explored with the selected keywords such as "sheqaq-e-poosti", "skin fissure" and "dry skin" to find the etiology and treatment of skin fissure. From the view point of both conventional medicine and ITM, dry skin is the cause of skin fissure and some causes of dry skin are similar. In conventional medicine, moisturizers are mainly used for treatment of dry skin; while in ITM some herbs, oils and other natural remedies have been used. A topical dosage form which was called "qeirooti", a mixture of wax and oil, was used to treat skin fissure in ITM. It comprised of oily ingredients that acted as occlusives and also some herbal components that directly improved dry skin (similar to moisturizers). Components efficacy of traditional dosage forms for treatment of dry skin lead us to study about formulation of “qeirooti” for treatment of dry skin. Allen LV, Ansel HC. Ansel's pharmaceutical dosage forms and drug delivery systems. 10th ed. Philadelphia: Lippincott Williams & Wilkins, 2014. Morifuji M, Oba C, Ichikawa S, Ito K, Kawahata K, Asami Y, Ikegami S, Itoh H, Sugawara T. A novel mechanism for improvement of dry skin by dietary milk phospholipids: effect on epidermal covalently bound ceramides and skin inflammation in hairless mice. J Dermatol Sci. 2015; 78(3): 224-231. Hay RJ, Johns NE, Williams HC, Bolliger IW, Dellavalle RP, Margolis DJ, Marks R, Naldi L, Weinstock MA, Wulf SK, Michaud C, Murray C, Naghavi M. The global burden of skin disease in 2010: an analysis of the prevalence and impact of skin conditions. J Invest Dermatol. 2014; 134(6): 1527-1534. Andriessen A. Prevention, recognition and treatment of dry skin conditions. Br J Nurs. 2013; 22(1): 26-30. Habif TP. Clinical dermatology: a color guide to diagnosis and therapy. 3rd ed. St. Louis: Mosby, 1996. Nafis ebne avaz K. Sharh ol asbab va alamat. Tehran: Al-maei, 2012. Flynn TC, Petros J, Clark RE, Viehman GE. Dry skin and moisturizers. Clin Dermatol. 2001; 19(4): 387-392. Spencer TS. Dry skin and skin moisturizers. Clin Dermatol. 1988; 6(3):24-28. Lee DH, Seo ES, Hong JT, Lee GT, You YK, Lee KK, Jo GW, Kim NK. The efficacy and safety of a proposed herbal moisturizing cream for dry skin and itch relief: a randomised, double-blind, placebo-controlled trial- study protocol. BMC Complement Altern Med, 2013; 13: 330. Proksch E, Lachapelle JM. The management of dry skin with topical emollients – recent perspectives.J Dtsch Dermatol Ges. 2005; 3(10): 768-774. Hurlow J, Zimmaro Bliss D. Dry Skin in older adults. Geriatr Nurs. 2011; 32(4): 257-262. Avicenna. The Canon of Medicine. 5th vol. Tehran: Sorush, 1987. Wolf R, Parish LC. Barrier-repair prescription moisturizers: do we really need them? Facts and controversies. Clin Dermatol. 2013; 31(6):787-791. Ahmad Z. The uses and properties of almond oil. Complement Ther Clin Pract. 2010; 16(1):10-12. Malisiova F, Hatziantoniou S, Dimas K, Kletstas D, Demetzos C.Liposomal formulations from phospholipids of Greek almond oil. properties and biological activity. Z. Naturforsch.2004; 59(5-6): 330-334. Ishikawa J, Shimotoyodome Y, Chen S, Ohkubo K, Takagi Y, Fujimura T, Kitahara T, Takema Y. Eucalyptus increases ceramide levels in keratinocytes and improves stratum corneum function. Int J Cosmet Sci. 2012; 34(1): 17-22. Bakhtiyari Z, Radan MR, Shariaty MA, Zamany Moghadam M. Medicinal herbs effective on the skin. Studia Universitatis.2014; 24(1): 201-208. Saikia AP, Ryakala VK, Sharma P, Goswami P, Bora U. Ethnobotany of medicinal plants used by Assamese people for various skin ailments and cosmetics. J Ethnopharmacol. 2006; 106(2): 149-157. Nagao M, Sato T, Akimoto N, Kato Y, Takahashi M, Ito A. Augmentation of sebaceous lipogenesis by an ethanol extract of Grifola frondosa (maitake mushroom) in hamsters in vivo and in vitro. Exp Dermatol. 2009; 18(8): 730-733. Jahandideh M, Ahmadian M, Naseri M, Mosaddegh M. The most useful herbs of Iranian Traditional Medicine prescribed in xerosis. 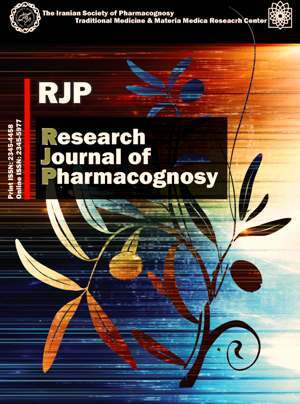 Proceedings of the 13th congress of the international society for ethnopharmacology. 2012 Sep 2-6; Graz, Austria. Panahi Y, Davoudi SM, Sahebkar A, Beiraghdar F, Dadjo Y, Feizi I, Amirchoopani G, Zamani A. Efficacy of Aloe vera/olive oil cream versus betamethasone cream for chronic skin lesions following sulfur mustard exposure: a randomized double-blind clinical trial. Cutan Ocul Toxicol. 2012; 31(2): 95-103. Kawano K, Umemura K. Oral intake of beet extract provides protection against skin barrier impairment in hairless mice. Phytother Res. 2013; 27(5):775-783. Aghili Alavi Khorasani MH. Gharabadin kabir. 2nd vol. Tehran: Institute of history of Islamic medicine and ancient medicine, 2009.